THE lean spell in diamond recoveries that Petra Diamond’s Cullinan mine is suffering continued in the first half of its 2019 financial year which resulted in lower-than-expected revenue of $207.1m. Rough diamond prices reduced by about 4% compared to the second half of the 2018 financial year due to “… usual seasonal weakness”, Petra said. The product mix during the first half, especially at Cullinan, yielded prices at “… the lower end of historical ranges”. The outcome was a $25m revenue shortfall. Disruptions at the firm’s Koffiefontein operation in the Free State province also contributed to the shortfall. Petra shares fell 10% on the London Stock Exchange, taking share price losses for the last 12 months to about 37%. On a year-to-date basis, however, there has been a recovery in the share, up a third. BMO Capital Markets said the miss on prices comes predominantly from Cullinan which were 19% below its forecast prices. The mine “… continues its lean period in the recovery of specials,” the bank said. It lowered Cullinan’s price forecast by 12% to $108 per carat. It also lowered Petra’s full-year earnings target a quarter to $0.06 per share, but still remained upbeat as the expectation is the diamond producer would turn cash flow positive in the second half. This was “… the key catalyst investors are waiting for,” it said. “The significantly lower realised Cullinan pricing and the impact on cashflow generation sees us take renewed caution,” said RBC Capital Markets. “We temper our forward base prices from Cullinan until we see evidence of a recovery, for which we remain cautiously optimistic,” the bank said. Outgoing Petra CEO, Johan Dippenaar, was also optimistic. “We are seeing production reaching consistent levels while our focus remains on the delivery of operational and capex efficiencies in order to generate positive free cashflow and subsequent debt reduction,” he said in notes to the firm’s interim numbers. 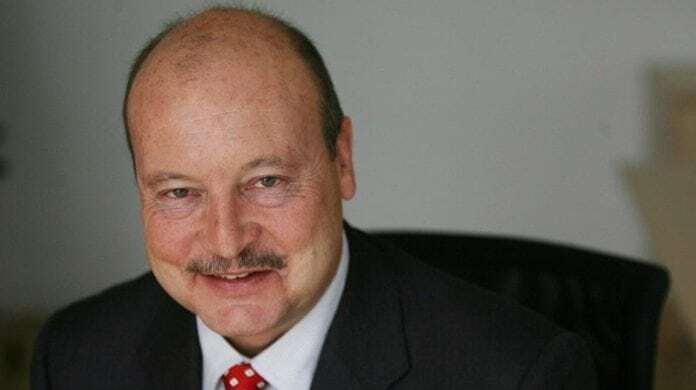 Responding to questions in a conference call, Petra finance director, Jacques Breytenbach, said the company would turn cash flow positive in the second half of the 2019 financial year and generate enough to produce positive cash flow for the whole year even were the average price of diamonds from Cullinan to track historical averages of $120/carat. Dippenaar added that “… there are two other listed diamond companies that report high value stones and go through this volatility on an annual basis”. Petra was confident that the orebody would soon yield large diamonds. An improvement in volumes would also assist with the commissioning of a fourth crusher at the mine. Net debt edged higher $557.2m from $520.7m as of June 30, 2018 and $538.9m as of September 30, but this was largely down to timing issues related to the payment by Petra to its black economic empowerment partners. Diamond production increased 10% to 2,012 million carats. Petra said it would leave its full year production guidance of between 3.8 and four million carats unchanged. Commenting on plans to find a successor for Dippenaar, Breytenbach said that an appointment would be made in the second half of the year. “We are progressing,” he said. But there was no progress regarding a blocked parcel of goods from the Tanzanian mine, Williamson despite improved communication with the government. The parcel of goods was banned from export by the government after it alleged in 2017 that some resources companies had not fully declared the value of minerals leaving the country. The Tanzanian government also owes Petra about $14m in VAT repayments.